If you are found to be driving under the influence, and as a result of your driving under the influence you cause or contribute to the death of any human being or unborn child, you can be charged with DUI manslaughter. Manslaughter charges of any type are VERY serious!! It can affect you for the rest of your entire life. If you are arrested and charged with DUI Manslaughter, call the attorneys of Finebloom, Haenel & Higgins IMMEDIATELY at 813-200-4421 to preserve your rights! Manslaughter is a term regularly used when a person accidentally kills someone else. If you are charged with DUI Manslaughter, it means that you drove while under the influence of drugs or alcohol, and as a result you killed another person or an unborn child. Is DUI Manslaughter a felony? If the State can prove that while driving under the influence you caused a crash that caused a death, then your DUI Manslaughter charge will be a second degree felony. then you can be charged with a first degree felony. A first degree felony is punishable by up to life in prison. How much jail can I receive if convicted of DUI Manslughter? DUI Manslaughter is a second degree felony, punishable by up to 15 years in the Department of Corrections! If you are convicted of DUI Manslaughter and it is found that you failed to stop and give information or you failed to stop and help, then the charge is a first degree felony punishable by 30 years!!! There is also a four year minimum mandatory sentence that you must receive. Do I sill have to attend DUI School? Yes, in addition to jail penalties, you may also be placed on probation. You will have to complete DUI School and any substance abuse treatment. Are there any other penalties? DUI Manslaughter carries a $10,000 fine and your license can be permanently revoked. You will also have to place an ignition interlock on your vehicle for at least two years if you qualify for a hardship license. DUI Manslaughter is a very serious charge. The attorneys at Finebloom, Haenel & Higgins have the skills needed to defend you. If convicted, not only do you have the DUI sanctions and prison time, but you also have the designation of being a convicted felon. This can prevent you from voting, having a professional license, and living in certain apartment complexes or housing associations. It is extremely important to hire a skilled attorney who has experience in this type of case. In addition to the regular evidence there will be autopsy reports and expert testimony. Do not settle for inexperience. We have a knowledgeable staff who can obtain the additional documentation that can help you. Do not delay. If you or your loved one is facing this serious charge contact us now. 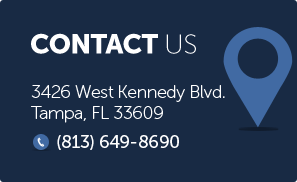 We are available 24/7 at 813-200-4421.